The arms on the George articulate and the reflector rotates 30° in both directions – both have a smooth, refined finish. A sand-cast backplate provides a rich, organic texture. The socket cover is customizable in either perforated or solid brass. UL listed for your peace of mind. Damp or dry location only. 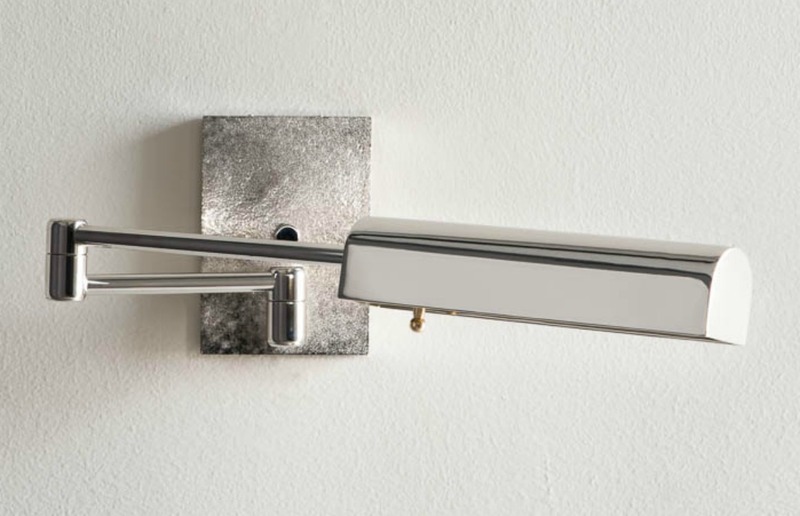 The George Swing Arm Lamp can be used either as a traditional reading lamp or to illuminate a wall or table. All our products have living finishes; a non-lacquered, unprotected finish that will change over time. See our finish chart for available options. Fixture available in OXC, OXB, ORB, PN, PB, BB. Adjustable. The George comes in a variety of finishes to coordinate with the look and feel of many rooms. Versatile. 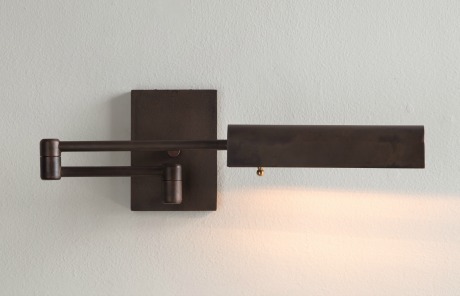 The articulating arms and dimmer on this wall lamp allow your clients to adjust lighting to meet their needs. Handsome. 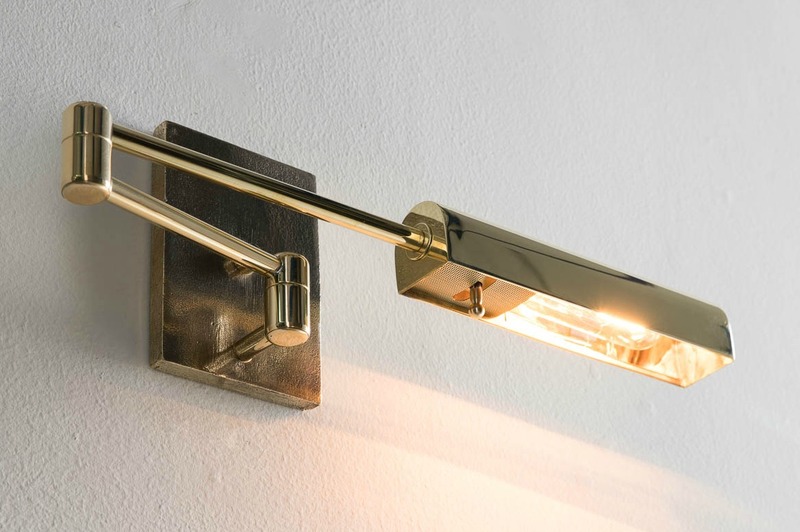 Solid brass and sleek lines make The George a stylish addition to your designs.